Today I went out on an Asian art and antiques treasure hunt as I customarily do once every few weeks and I am very pleased with today's finds. 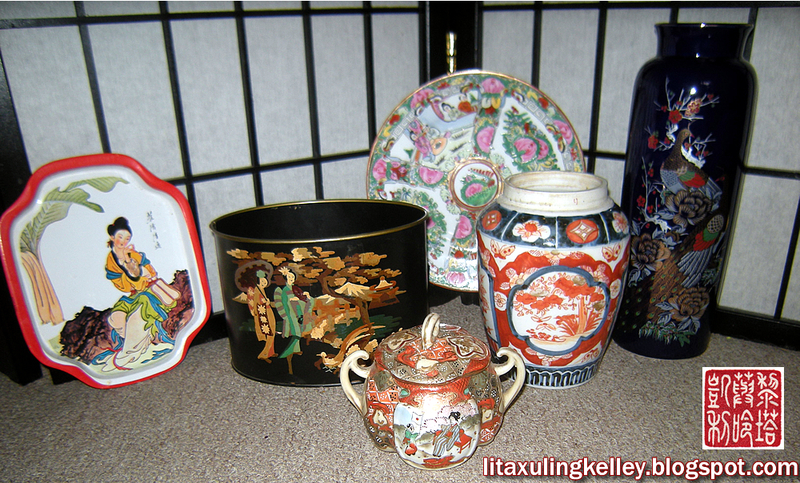 Matter of fact, I am extremely happy..
Today's Asian Art and Antiques Finds. It's not every day when you get to find a special piece that brightens up your day, but whenever I do find something to add to my collection, it makes me very happy. Hunting for Asian art and antiques is only half the fun. Browsing around the shelves of thrift stores, rummage sales, yard sales, and yes, even antiques stores, can often be disappointing when you don't find anything you like, or even worse, do find something you like and want, but is way out of your budget, but when you do find something, your eyes widen, your jaw drops and you excitedly pick something up that brings a big smile to your face. I love it, but like I said, it's only half the fun. I'm always so excited with my new found treasures and eagerly begin researching each piece, such as maker, age, period, and yes, even its estimate market value, although I have no intentions whatsoever of selling my collection, however, my daughter may wish to do so later on down the road when I'm dead, so I make sure I record everything, just in case. 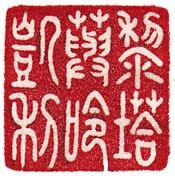 Researching is exciting and offers an overwhelmingly satisfying learning experience of so many different things, like different cultures, history, production processes, about various artists and makers and so much more, and yes, even with languages too. Collecting is about what you like... what you enjoy.. The pieces that put a smile on your face, the little finds that excite you and make you happy. You do it because it's fun and you value the rewarding experiences that come with it, and the educational experiences acquired through researching your finds. Sure it's also naturally rewarding to find a valuable piece too, but monetary value shouldn't be the primary motive in my opinion.. The hunt is only half the fun. Just because some self proclaimed "serious collector" with a bad attitude says your piece is crap, does not mean it's crap. To you it is treasure.. your latest find, that brings a smile to your face... that made you happy and filled you with joy and eagerness to find out more about it. As the old adage goes, "One man's trash is another man's treasure". Happy hunting and have fun doing what you love.